NEW PRICE...contemporary with views from every window! Perfectly perched on an elevated 1/2 acre lot, this home has so much to offer. 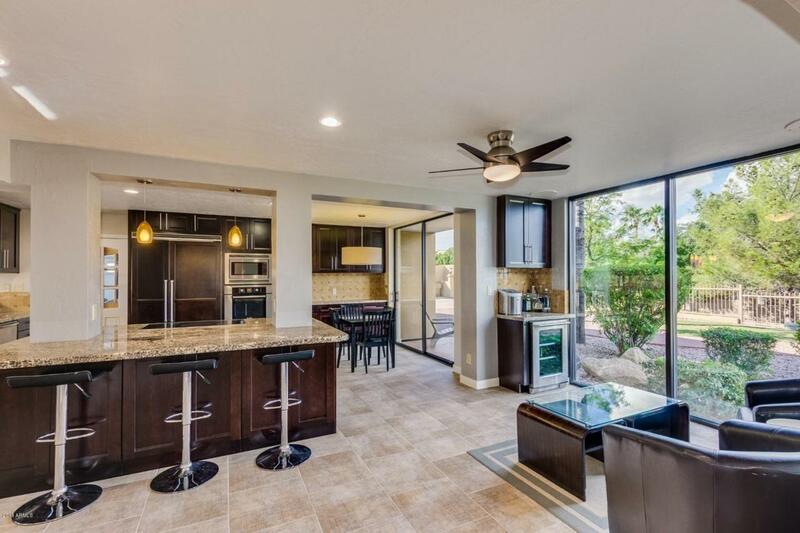 Fully updated kitchen featuring espresso cabinetry, granite countertops and high end appliances. 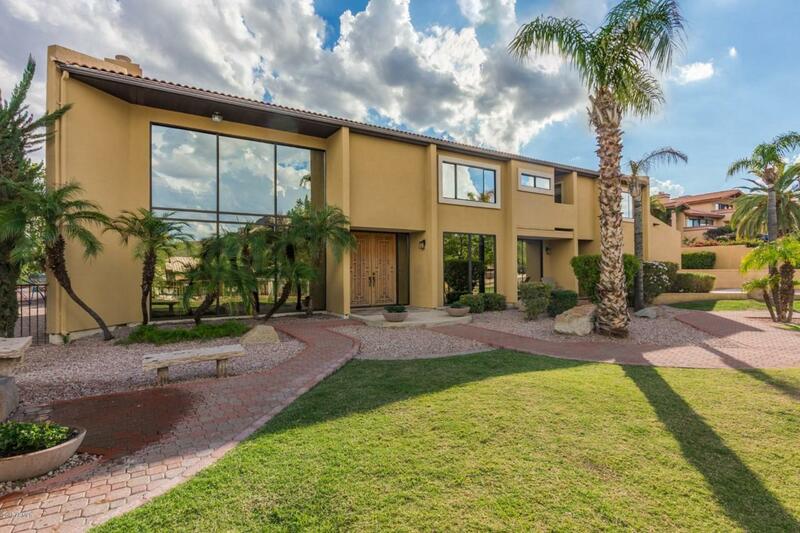 Impressive living spaces with floor to ceiling windows to enjoy the specular Arizona sunsets. Private backyard, complete with pool, heated spa, waterfall grotto, built-in BBQ, and fire pit...your very own ''staycation''. Detached 760 sf guest house with great room and bedroom/bathroom, suitable for visitors, in-laws, home office or game/media room. Extended height carport, great for shaded kid's play area or RV parking. 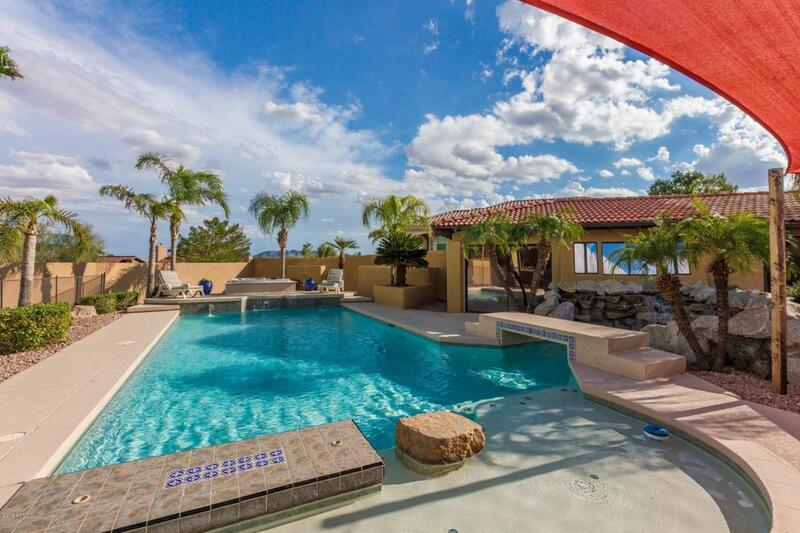 No HOA, walking distance to elementary school, park and mountain preserve. This very special, one-of-a-kind estate can be yours!